In a country like Nepal - filled with ethnical diversity, rich cultures and beautiful sceneries- we may think the prospects could be endless, but the options for local artisans in fact are limited. Increasing inflation, poverty, unemployment and little education are only a few problems named - a situation that doesn't do justice to the beauty and potential of Nepal. The April 2015 earthquake brought even more turmoil. At a time when everyone experienced uncertainty, the founders- Raju Gurung and Irma Leung saw an opportunity for Nepal. They see great potential in Nepals' longstanding tradition of craftsmanship, where skills are passed down from generation to generation. "I am a dreamer. But it’s time to turn the dreams into actions“, explains Raju. 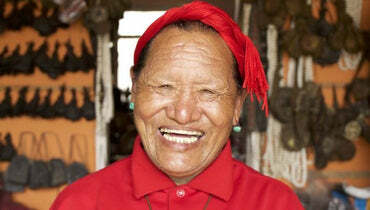 Being born and having grown up in Nepal he and his co-founder Irma from Hong Kong have witnessed firsthand the pressing issues of local artisans who often struggle to have a fair price for their work because majority of the businesses selling Nepalese products have simply not been focusing on true value of Nepalese craftsmanship and focusing on mere mass production. With Planetlocal, the founders are embracing the philosophy of sustainability and ethical workmanship to the core and aspire to take Nepalese craftsmanship to a global stage, and highlight the stories of amazing artisans behind these products. "We believe that true independence is a step-by-step process and we hope to empower many women in the process as part of our future key milestones to help them learn a skill and supplement income. 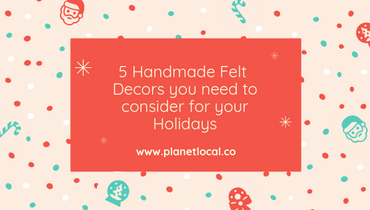 By giving local men and women a web platform to showcase their unique craftsmanship Planetlocal wants to enable families to have a sustainable future in the long run. Support our exciting journey by having a look at our beautiful products and sharing our story to the people that share the same value as you do. Let’s make a change, together. & Be part of the Change. PS: Like us on Facebook to follow our journey!